The new version of this device will have 32 GB of internal storage, twice as much as the Wi-Fi-only model that debuted this summer. It will cost $399, which is $100 more than the non-LTE version. The 4G version will support both AT&T’s and T-Mobile’s LTE data networks – all that will be necessary is adding an appropriate SIM card. AT&T will also carry this model, charging $299 with a 2-year contract. The device’s Nvidia K1 processor, which sports 192 dedicated graphics cores, is the real highlight here. 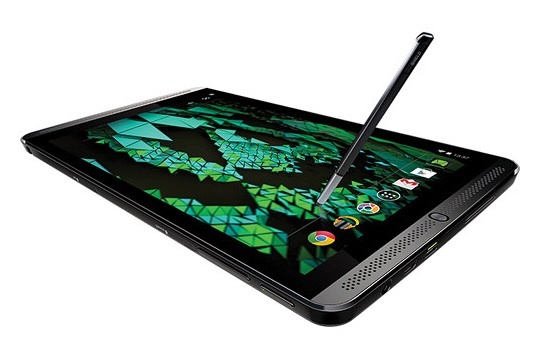 The processor allows the tablet to support high-end gaming technology like Epic’s Unreal Engine 4. The Shield’s 8-inch screen has a resolution of 1900 x 1200, and can store 128 GB of data on a removable microSD card. The device comes with a stylus (and a slot to hold it), a 5MP front-facing camera, 4K video out, and a pair of front-facing speakers. Users can play any Android game, including the 400 that have been optimized for the Shield platform. In addition, people who have an Nvidia GeForce card in their desktop or laptop can play PC games on this tablet, thanks to Nvidia Gamestream. There is even support for gamecasting to Twitch. Nvidia offers a wireless controller ($59) with a built-in microphone that communicates over Wi-Fi. The LTE version will offer nearly ubiquitous high-speed internet access.